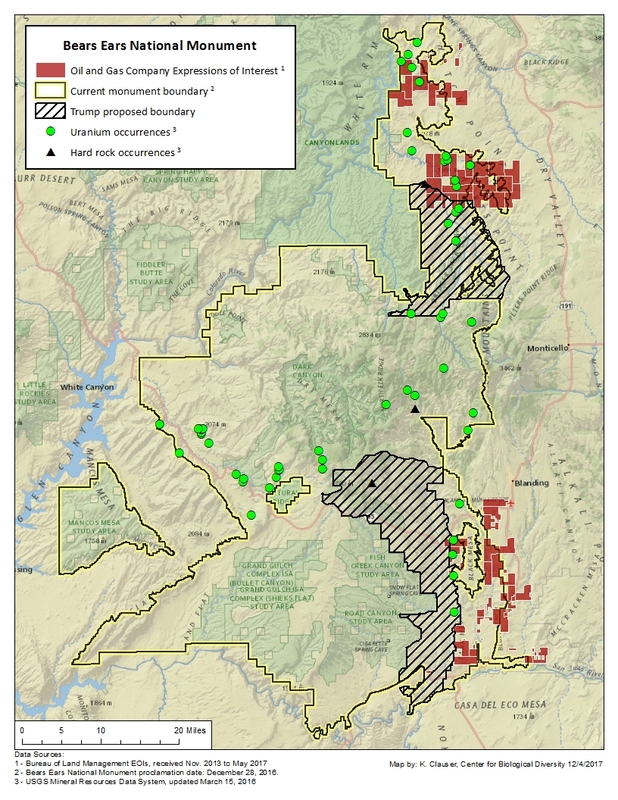 WASHINGTON— President Donald Trump today ordered Bears Ears and Grand Staircase Escalante national monuments in Utah to be dramatically reduced in size. The order would slash protections for an untold number of irreplaceable natural, scientific and historic treasures, and is part of a push by the Trump administration and Republicans in Congress to dismantle public lands. It will be challenged in court. Today’s action would abolish Bears Ears National Monument, replacing it with two much smaller monuments, and cut Grand Staircase-Escalante National Monument in half. Trump aims to remove protections from more than 2 million acres of public land, including tens of thousands of sacred places and archaeological sites, habitat for endangered species and dinosaur fossils. It would be the largest rollback of public lands protections in U.S. history. In his August report to Trump, Interior Department Secretary Ryan Zinke recommended reducing protections from 10 national monuments, including shrinking the boundaries of Bears Ears and Grand Staircase-Escalante, Gold Butte in Nevada and Cascade Siskiyou in Oregon and California. Zinke’s report has not been publicly released. More than 2.8 million people wrote to the Interior Department urging the administration to preserve protections for these iconic places. Trump has not visited any of the national monuments under attack. Zinke visited a handful of them and met almost exclusively with their opponents, including representatives of the oil, gas and timber industries. He arbitrarily decided to take no action on six national monuments. “This has nothing to do with state’s rights and everything to do with Trump bending over backward to appease polluters and right-wing zealots,” Spivak said. More announcements are expected in the coming weeks as the administration attacks other national monuments on the list, including reducing their size and stripping protections that limit fossil-fuel development, mining, logging and grazing. Republicans in Congress also want to strip the president’s authority to designate national monuments under the 1906 Antiquities Act. National monument designations have protected some of the most spectacular public landscapes in the country from fossil fuel extraction, mining and logging. Dozens of the nation’s most treasured national parks were first protected as monuments, including Grand Teton, Grand Canyon, Bryce, Zion, Acadia and Olympic national parks. 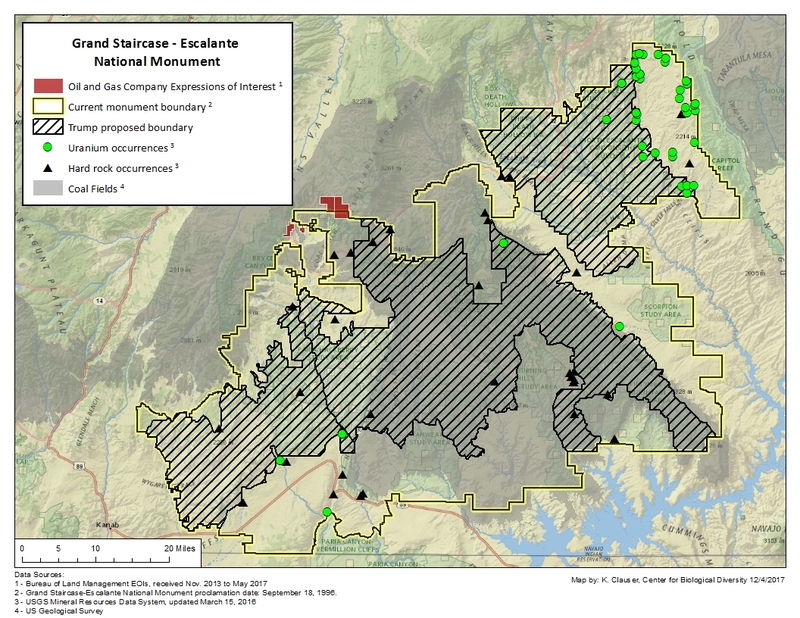 To view maps of what the gutted monuments would look like, including areas that could be targeted by oil, gas, toxic uranium and coal mining developers, click here and here. To view what’s at stake for these monuments, click here and here.